Time was, the term “self-publishing” carried a negative connotation. The presumption was that if you had to publish your book yourself, it was because it wasn’t good enough to interest a traditional publisher. That stigma has largely disappeared, as new digital technology has revolutionized the publishing world. Just about anywhere these days, you can see people reading books on electronic book readers like the Kindle, on their tablets, even on their smart phones. It’s no longer a novelty, and it’s no longer frowned upon. Today, many authors, including those with a strong track record with traditional publishers, are choosing to go the self-publishing route. Because it is relatively easy, because it is no longer prohibitively expensive, and because it is a fast way to get their material into the hands of readers. But it’s easy for those tiptoeing into these waters for the first time to feel overwhelmed, and they’re looking around for advice. Plenty of individuals and small companies have sprung up to fill that need, so much so that authors now face a new decision: which of these many service providers should I give my money to? Recently I came across a terrific article that describes the options in clear, no-nonsense terms. 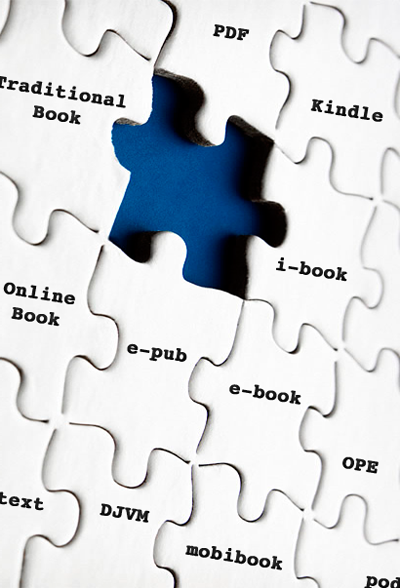 It’s called “7 Questions to Ask Before Choosing a Self-Publishing Company,” by Helen Sedwick. Helen is author of The Self-Publisher’s Legal Handbook, and a regular columnist on Joel Friedlander’s very helpful website, The Book Designer. I first learned about it via Laurie Harper, of Author Biz Consulting – and that’s a perfect example of how good information travels around the Internet. (Specious information, too – so be careful). I’ll have more to say about the awesome Laurie in later articles, but for now, I want to urge you to read Helen’s piece. This whole question – traditional publisher, electronic-only publisher, self-publisher –is a big, big decision, and you owe it to yourself to collect solid information before you jump in.